Would You Like Help Deciding If Physical Therapy Is Right For You? If you’re not quite ready to book an appointment yet, you might have some questions that you would like answered first! Buffy would be happy to chat with you so she can be 100% sure that she can help you! Maybe you would prefer to come into our office for an in-person meeting & consultation! We are also more than happy to provide you with details about schedules & pricing! 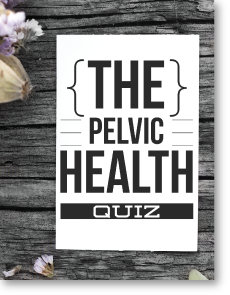 Take this quiz to see if Pelvic Dysfunction is affecting your quality of life. What you can do to manage and prevent progression of pelvic organ prolapse. Do you want to know what you can and can’t do when you exercise? Having a baby? Here’s what to have & what to do for the first 2 weeks! Even if your baby is not a baby anymore, take THIS QUIZ to find out where you are today. Try these exercises that can get you started on the path to being tension and pain free. THERE IS HELP, HOPE, AND A WHOLE LOT OF TRUE EMPATHY HERE!